In his essay, "The Art of the Difficult," playwright and critic Tony Kushner argues in favor of art that challenges its audience. He focuses on plays that present challenges in terms of their creation, staging, and interpretation. Kushner's arguments are useful for analyzing the ways video games address complicated themes, however, video games traditionally offer more than simply a theme-driven concept of difficulty. In order to complete a game, a minimum amount of physical and mental dexterity is required. Having a brilliant analytical mind or a deep knowledge of art history will not yield a successful sniper shot nor the precision to execute a series of perfect jumps across spiked chasms. When I started this series, one of the major questions I had was whether games had grown easier over the years. I personally feel that I have an easier time succeeding in games today even though my basic aptitude and dexterity has plateaued (and probably even declined). While it is true that the kinds of difficulty found in games of the 1980s and 90s is becoming unusual, the trajectory of game difficulty remains curious. In many ways, games are becoming simultaneously more and less challenging as time passes. The Fall of Specialization and the Erosion of "Skill"
The advent of services like the Wii Virtual Console as well as retro homages like Mega Man 9 have brought into sharp relief the contrast between older games and contemporary titles. 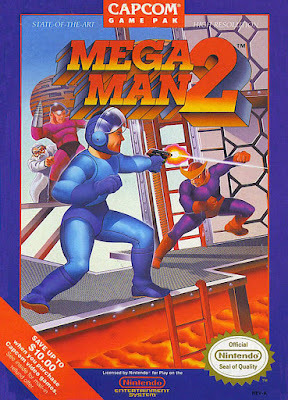 Both Michael Abbott and Mitch Krpata wrote eloquently about Mega Man 9, commenting on its unforgiving nature and punishing level design. They both identified the game as one that demanded excellence rather than one that fostered development. Games from the 8-bit era place the onus of learning the system of rules and the techniques for success on the player. To succeed in a game meant becoming a specialist in a specific set of skills required by the game. Memorizing jumps, learning enemy patterns, and having the patience to re-try a sequence numerous times made players experts. This skill-based ethos has softened over the years. Let us use the Super Mario games as examples: in the old days Mario could take one hit (if you were lucky) before the player was sent back to re-try the level. Falling into lava was instant death, and completing a stage meant getting from one point to another flawlessly. Today, Mario has a raft of hit points and falling in lava results in singed bottom instead of a "game over." Completing stages in Super Mario 64, Super Mario Sunshine, and Super Mario Galaxy are tied to finding a way to collect a star. The player can bumble their way to success or achieve a flawless speed run; if they find some way to collect the star, the end result is the same. Engagement is the Word Of The Day -- developers promoting new projects enthusiastically use phrases like "bite-sized chunks", "pick up and play". If a game doesn't demand any more than five minutes from you in any given session to be enjoyable, that's a plus. And when we pick-up-and-play these games in bite-sized chunks, we are meant to be immersed and to receive a narrative without ever needing to sit still, watch, read or listen. Oh, and the game is also supposed to teach us how to play it without us realizing we're being tutored, and we're never supposed to feel stumped or stuck. Alexander wonders whether we are losing the skill to patiently explore a game in the absence of overt help from the game itself. The original Legend of Zelda's map had no landmarks, Final Fantasy VII had a story that took dozens of hours to tell, and PC adventure game puzzles required abstract (and sometimes nonsensical) thinking to solve. Games that have instant maps, record every clue, and neatly section gameplay into bite-sized chunks require none of the skills historically associated with gaming. Feeling less than special for completing games that ask so little is understandable. However, while difficulty based on specialization and finely honed skills may be waning, there are new forms of challenges taking assuming dominance. Modern games require a player to display an enormous breadth of skill and creativity. While games may not be as punishing as they once were, their control schemes have grown increasingly complex and their goals more abstract. Using Mario once again as an example, we can see how varied modern gaming is. In Super Mario Galaxy, Mario can tip-toe, walk, run, wall slide, duck, jump, double-jump, triple-jump, cartwheel, back flip, long jump, spin, and ground pound (the list goes on, but you get the idea). To put it another way, today, Mario has more actions than he had frames of animation in the 8-bit days. These moves require the player to gain proficiency in a number of actions to be used in various situations. While the platforming challenges themselves may be simpler, recognizing the correct tools to solve them has become more complex. Additionally, an increasing number of games abruptly change styles during play. Racing, rolling, and surfing are all secondary play types in Mario, yet they are necessary to complete the game. Since Metal Gear Solid, nary a game is shipped without some sort of stealth element, regardless of genre. While players may not fail as often in modern games, they are responsible for learning a wide variety of actions within each game. Even more revolutionary is the move towards community based games and user generated content. The contemporary gaming scene is dominated with games like require active player input in creating the gaming experience. World of Warcraft owes its success to the players' willingness to form guilds and then devote time to their upkeep. 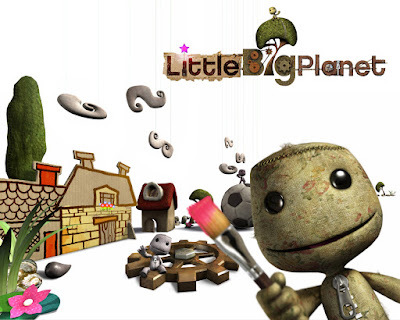 LittleBigPlanet starts to shine only after the players take it upon themselves to create the game they want to play. In these examples, success and failure are measured in terms of community engagement and artistic creativity. While the traditional parts of the gameplay may seem easy in comparison to their precursors, the source of the games' difficulty has shifted from the process of consuming to the process of creating. Kushner's point that difficulty is the key to truly powerful art is an important one, but we must remember that ideas like "difficulty" can be surprisingly fluid. Measuring difficulty in games using a metric tailored to titles from 1980s as ignores monumental shifts in game design and player taste. One could just as easily look at the original Metroid game and decry it as "easy" because everything is offered to the player readily: There are no levels to design or communities to build, only critters to zap. Difficulty is not a singular force with a unified trajectory; it is contextually-based concept that continues to branch out, acquiring new meanings as philosophies, technology, and tastes change over time. Excellent post. I have often complained that games do not present the same challenge that they used to. However, as I continue in my studies, I have come to see insane difficulty has been replaced with greater player interaction. I believe this is an acceptable trade-off. Your Mario example is particularly great. While I would still welcome greater difficulty to Super Mario Galaxy (and according to Miyamato will get it with the sequel), I still hail the game as one of the greatest I have ever played. Plus, I think a lot of people forget that the early days of gaming were often ports of, or at least inspired by arcade games. A simple study of game history will tell you that, yes, the games DID in fact cheat. It sounds ridiculous, but that's how they kept getting you to plunk your quarters in. I don't complain about game difficulty (or lack thereof rather) as much as I used to. Yes, I do believe that overall, games are easier than they were when I was growing up. However, I also believe that we have traded up. Besides, if we applied the difficulty level found in 2D games back in the day to 3D games we have now, modern games would be absolutely punishing and would likely alienate even some of us old-schoolers. YOU have NO idea what games are about! Look at your scores! Pathetic! Go do some knitting, you pansy. Made me laugh. But still, difficult topic. Especially if you really put a lot of effort into a game, you start gaining a very high-level appreciation of the details of the mechanics. Especially in strategy games. If you haven't played a game for too long, you never know if you've already have a good enough understanding of the game or if there is a whole other level you could reach. The last time I've experienced that was in Mass Effect, where playing it in Insane was a radically different experience. And that's not even a very deep game. Just today I read an interesting article where a guy was considering having games that allow only one play. When you die, you can never play the game again. I think one of the most profound effects that would have would be on the idea of what means to be good at a game and also what a review of such a game would mean. And if you thing quitting playing games is a tough topic - you have no idea what a problem that is when DEVELOPING games. Thanks for the compliment. You actually predicted one of the things I'm going to talk about in my next post: the history of video games is one of competition, be it player vs. player, or player vs. machine. Your comment has started me thinking that maybe the move towards realism is incompatible with difficulty...I'll have to think about this. Funny you mention the one play idea: Ben Abraham is leading a "Far Cry 2 permanent death" play-through. It's pretty interesting. As a developer, how do you balance difficulty? Obsessive play-testing? Comparison to existing examples? Some innate sixth-sense that allows you to empathize with noobs? This may not be the best formed thought, but perhaps the change in difficulty and the lack of a simple high score system is what make Achievements and Trophies so popular. The games may not be harder, but these systems give players who want an extra bit of a challenge a way to experience it. What made me think of this is an Achievement in Prototype named Hard To Kill, which is only available if you play through the entire game without dying. Being a video game, there is a cheat code of sorts; after the first play-through, you can replay on any difficulty, and with all of your weapons. Regardless, I think Achievements like this are where the Difficulty of games is going. The game itself won't be hard to play, and there won't be too much punishment in the game, but getting the extra special biscuit is what will require particular skill. Shane brings up exactly what I was going to say. Older arcade games were indeed meant to be difficult for profit. Once consoles arrived the pause button, save points, and memory cards all reduced the level of tension players experience in an arcade, but it also allowed for new types of games, such as rpgs. The lower difficulty curve today seems like a completely natural progression of gaming to me because, after all, it is business. Which brings up the other important thing to consider here: As games have gotten more popular developers have had to "dumb down" to reach the lowest common denominator among the market. I think keeping the business side of things in mind is definitely important, especially in tough economic times. If folks spend 60 bucks on something they beats them up, they might not come back when the next game comes out. Companies then play it safe, not knowing whether a harder game would have sold as well.